I like this hotel quite a bit due to its location. There is a Damri bus to/from the airport steps away from the entrance of the hotel. The JL Expo Center is a short drive away as well. I like being close to the mall for food options and also there is a Carrefour supermarket on the bottom floor of the mall. The staff is quite friendly and the breakfast is good as well. It's a nice hotel option for the price point. 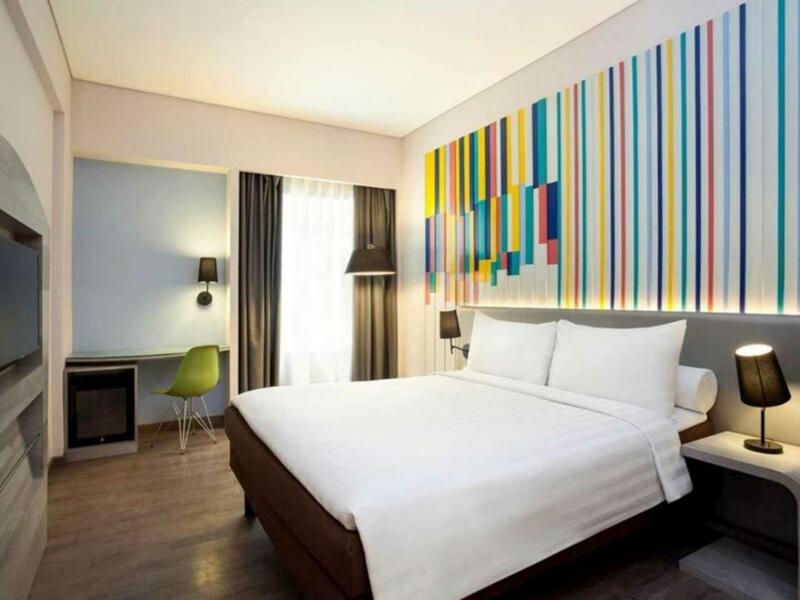 Nice clean hotel in Mangga dua squre. Very close to ITC Mangga dua shopping centre, a place you can do some barging shopping. As the hotel don't serve food other than breakfast, it is bit difficult to get variety of food. Though there are few food stalls close by not much variety. Had a bit of a problem with check in. We were there @ 3.00 pm but had to wait till nearly 4.00 pm as our room was not ready. We were tired after our flight. Room is comfortable but the only draw back was d towels, they are old & had a funny smell. Staff is very polite & very friendly. I will definitely stay here when I visit Jakarta again. A good stay at Ibis Style mangga dua square. Clean comfortable room to stay in. Hotel in a shopping mall, easy to get food and do some light shopping. Breakfast spread good. Easy to get taxi. Staff very polite and friendly. I enjoyed my stay here. Great hotel with value for money., The Staff was amazing and very helpful. Lydia and Dhea was exceptional, they met high standards. I felt true hospitality service. I will recommend this place to my friends and families.. Pro: Location is good, food is okay. Con: I registered for check in around 12.30, they told me to come back 14.00 (standard check in time), when i am back to collect my room key 14.00, the room is not ready yet (it seems they forgot to clean up the room or whatever the reason) and i need to wait more 15 minutes. Bathroom is dirty, it have urine smell, the sink is jammed, the towel is grey color so i am not sure its clean or not, also they didnt change my towel when make up my room. So if cleanliness is your priority, choose elsewhere. Dear Yanto, Thank you for staying at ibis Styles Jakarta Mangga Dua Square and share your experience with us. We do apologize for the inconveniences you've met during your stay start from your arrival. Indeed, our check-in time process is starting from 2 PM since our check-out time is at 12. It's not our standard to give unready room to our guest and we have taken a necessary action to the department concern. As for towel, Accorhotels have a program to save the planet by a few actions and in our hotel we set up a signage for guest if they want to change the towels in order for us to reduce the chemical usage. I would share your review with our team member to improve our quality of service. Once again, thank you for sharing and I sincerely hope for your understanding and that you give us another chance to serve you better in the future. Sincerely, Lidiya Oktaviani, Asst. Guest Experience Manager. Three check in counters were available but only one was manned. Not sure why because I saw staff walking around, seemed to be ignoring me waiting in line. The two guys in front of me were taking a long time to check in while I waited. Must have been in the line for closed to 20 minutes...but mine check in took less than 3 minutes! Been to this hotel a couple of times. 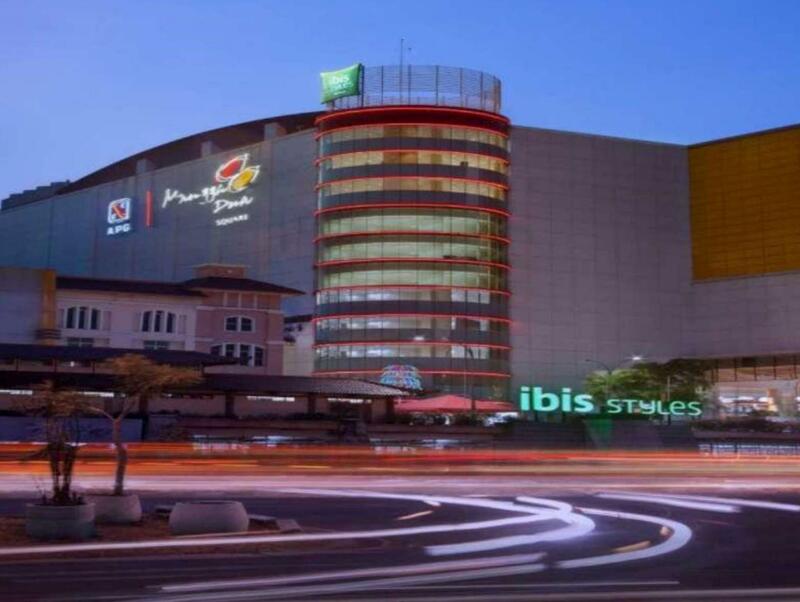 Located inside the Mangga Dua Square mall. Easy access to food and shopping. Staff were polite. Cable TV channels are available. Nice spread of food for breakfast. Only setback was the very small toilet cubicle. Other than that, all good. At Mangga Dua Square Mall, easy to get food and drinks. Hotel interior looked pretty new, toilet seems bit small, but was acceptable with that price. Overall was good experience. Will be back if going to explore the area around. The hotel is superb, clean comfortable. However a bit far from Jakarta Centre. but there are taxis always available in front of the lobby. So there are no transportation issue. I love the decoration. Its so fresh and young. I Will definitely come again in the future. It is the first time that i used a Ibis owned hotel, the service and location is great. We came for the DWP and its less than 5min to the expo by car. The hotel is not overly spacious but compact and has everything one needs to have a enjoyable stay. I enjoyed the Spa service which is very reasonable priced and very professional. The breakfast is the only thing that needs improvement i would rather have a smaller choice but higher quality. As an suggestion please offer premium coffee as an add-on as nescafe is not coffee. The staff is super friendly and the security is on its toes well done. I'll be back next see you than. The staff were do friendly and they helped me to print the boarding pass too. There is cheap food service even at 2am! I love the room because it is so colourful and trendy. Bed was so soft and there are even bolsters. The bed and breakfast were superb. Wifi is strong. Relatively quiet. Place is clean and services were great. To access the hotel, the lift lobby is besides a 7-11 store. Take direct elevator to 8th Floor for check in. 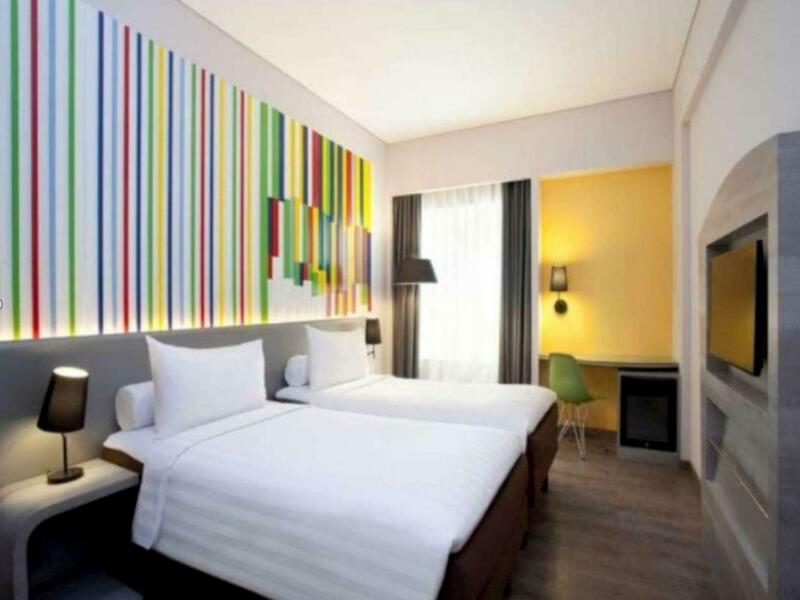 The hotel spans the 8th and 9th floor of Mangga Dua Square. There is a 600K rupiah deposit required. This is the first hotel that I stayed that provides a bolster. Wow.